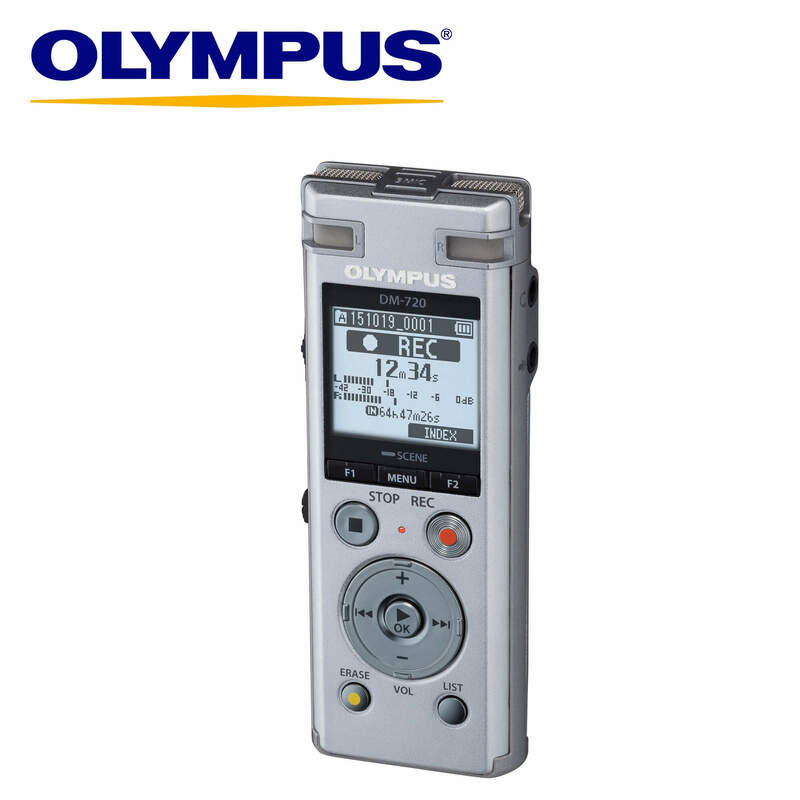 The new release Olympus DM-720 is a highly functional, practical and robust business recorder which suits people who need a recorder which is under $200. Available now from Pacific Transcription. The DM-720 features a 3-microphone ‘TRESMIC” system, which includes two directional microphones positioned in a 90 degree layout for enhanced stereo sound and an omni directional microphone at the centre, to faithfully capture the depth and fullness of sound. When the omni directional centre microphone is on, frequencies from 20Hz to 20kHz are picked up (50Hz to 20kHz when off), compensating for low-range sounds. 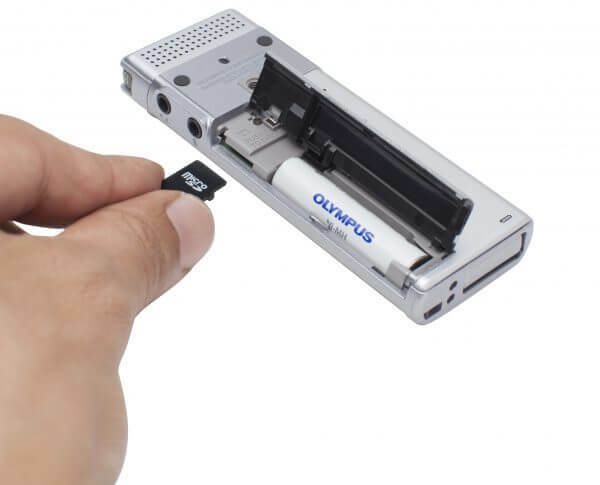 An extensive range of advanced functions is packed into the compact body and enclosed in a high class metal casting. 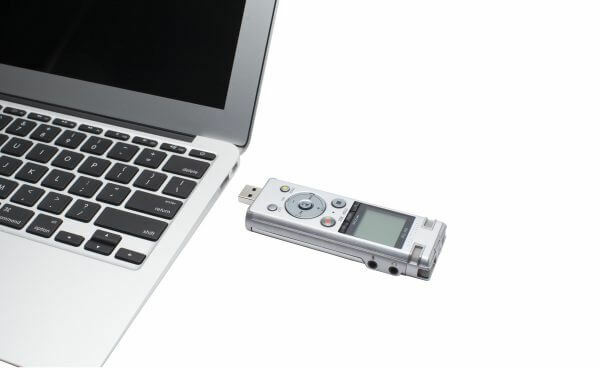 The recorder also comes with a clip stand attachment which can be attached to your pocket or notebook on a clip, or it can be used as a stand to reduce noise when the recorder is placed directly on a table top. The DM-720 includes a built-in USB connector for direct connection to the computer. Not only can you easily save and share your recordings via your computer without the need for a cable of software, you can also recharge the unit form a PC without having to remove the batteries from the device. 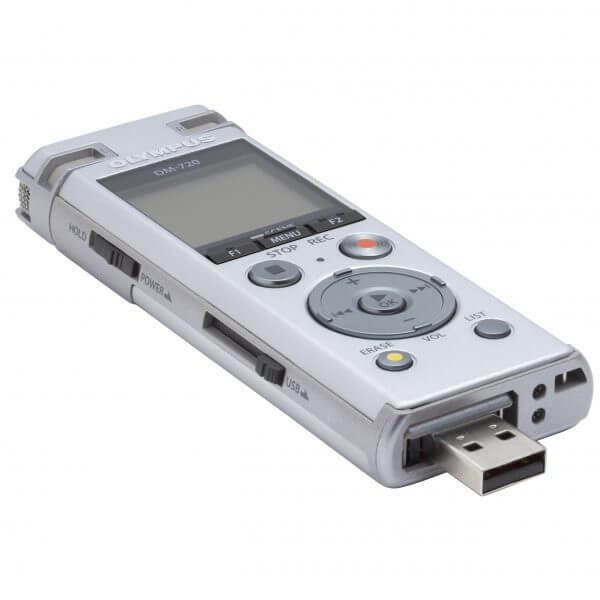 The recorder can also be used as a USB memory device.